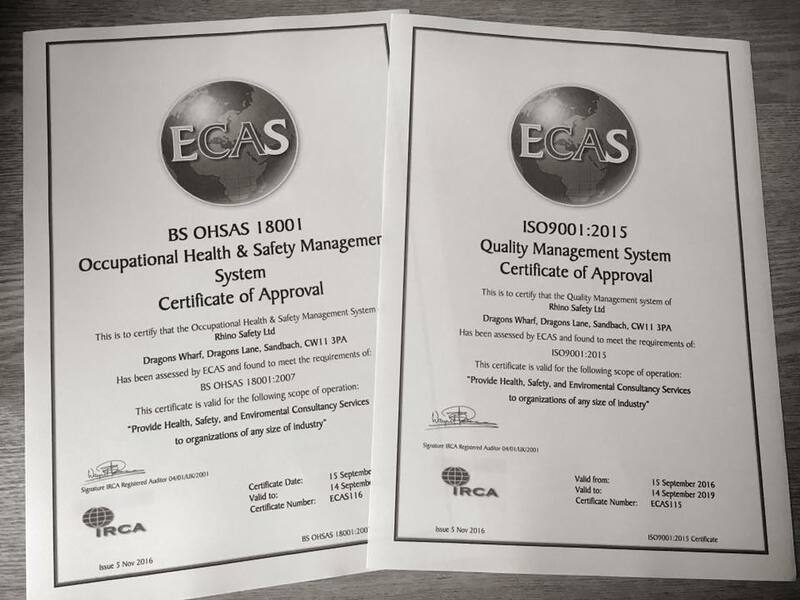 It’s official… Rhino Safety now has OHSAS 18001 and ISO9001 certification. They arrived in the post, and it was quite a feeling to get those documents through. Over the last eighteen months we have built our reputation, developed some superb client relationships and taken on some fantastic contracts. Now there is more evidence that with Rhino Safety you can be assured that we work to the highest possible standards. These certificates will have pride of place one one of the new office walls. 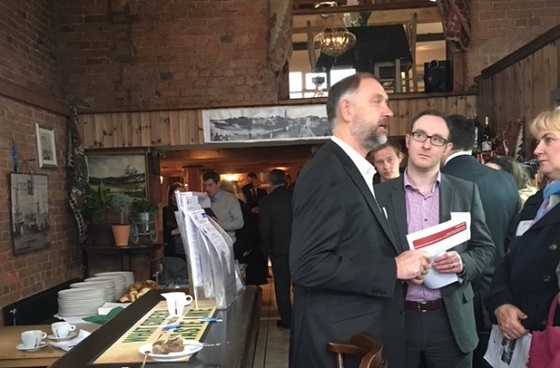 Many thanks to everyone who attended the South Cheshire Chamber “Final Friday” breakfast networking event at the delightful Barchetta Restaurant in Wheelock (near Sandbach) on Friday 27th January. The Rhino Safety team hosted the session, and we were overwhelmed by the turnout and response. Most attendees believed it to be one of the best ever turnouts for the networking group, and we certainly enjoyed coordinating the schedule. If you haven’t been before, or know of similar events in your area, we’d recommend joining up and swapping regular notes with like-minded professionals. It’s the perfect opportunity to network, catch up with old colleagues and clients, learn something new, see what other businesses in other sectors are doing, and of course get your company name out there. We regularly pick up fresh contacts and requests to tender for work. That’s a bonus, but the chance to build longer-term lasting relationships is what it’s all about. Sowing those seeds always pays dividends in the long run. We don’t want to scare anyone, but any water system that has the right environmental conditions could potentially be a source for legionella bacteria growth. As ever, taking the right precautions can ensure you and your employees stay safe. The most common places where legionella can be found are in man-made water systems, hot and cold water systems, cooling towers, evaporative condensers, and spa pools. Under general health and safety law, if you are an employer or person in control of a premise, you have health and safety duties and need to take suitable precautions to prevent or control the risk of exposure to legionella. You should identify and assess sources of risk, manage those risks, prevent and control the risk, and of course keep appropriate records of your actions. 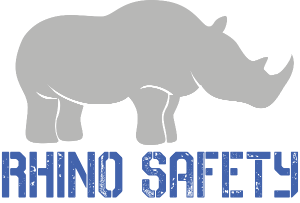 If in doubt, Rhino Safety can carry out a risk assessment that will help you to establish any potential risks and implement measures to either eliminate or control risks. Call us! Unexpected projects and short-notice jobs will always form a large part of the Rhino Safety workload, but being able to plan is essential if you want to fit everything in. That includes training sessions for your own staff, attending conferences and courses to maintain and improve your knowledge, networking at business events and helping with local not-for-profit organisations. For Rhino Safety, giving something back to the Cheshire community is all part of the annual work load. We are delighted to announce that we will be providing health & safety advice, plus training for this year’s Nantwich Food Festival that takes place in September. It’s an amazing festival of food, drink and cooking demonstrations, with over 40,000 visitors across an action-packed weekend. So, the Rhino team will be kept busy! Talking about the team, the Rhino Safety numbers continue to grow. The latest addition to the new Sandbach office is Julie, who brings superb organisation, administration and marketing skills to the business. Many of you will probably meet her soon or chat over the phone. We hope she enjoys the semi-rural office setting as much as we do. 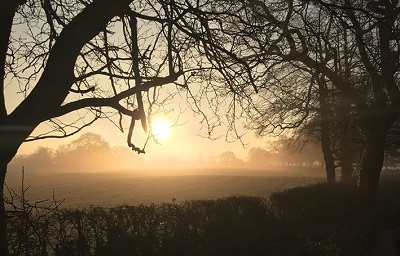 We’re all a bit camera shy at Rhino Safety, so instead we give you the gorgeous view we all enjoy from the Rhino Safety office windows… the stunning and very relaxing canal & Cheshire countryside.